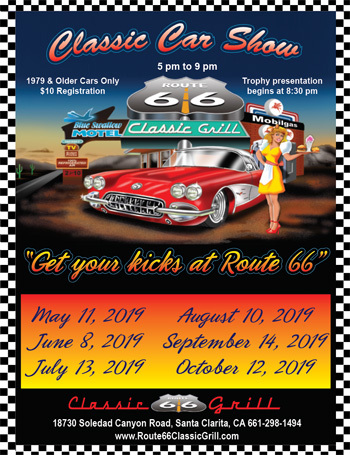 Join the Route 66 Email Club! Mark your calendar with our Classic Car Shows the second Saturday of each month, May through October. We also have special events for Corvette and 4x4 enthusiasts. To view photos of past car shows, visit our Car Show photo gallery. 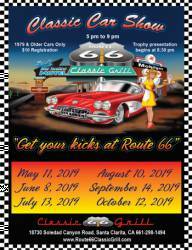 Don't miss our Classic Car Shows! 1975 or older vehicles only. Car Shows fall on the 2nd Saturday of the month, May through October.